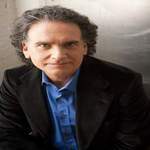 Sign up for Broadjam today to follow Peter Buffett, and be notified when they upload new stuff or update their news! The second vocal CD from Peter Buffett. This is a little more adventerous than Peter's first as he gets his "sea legs" singing in the studio. Buttery soulful pop. heart-pouring, romantic, fresh, reflective, The Cyrkle for the 21st Century. Somewhere deep inside that hides you? Isn?t there someone besides you? I wonder would it happen anyway? Can we love in the time that we live in? Can we love in time that we live in?